Every day, people in the Kansas City area rely on buses to transport them safely to and from work, school, doctors' offices, shopping, events, travel destinations, and more. As a passenger, you have no control to prevent a collision. 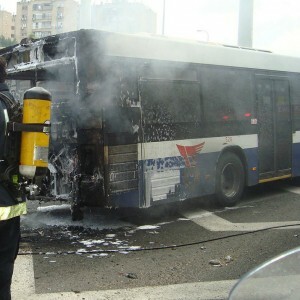 In fact, the lack of attention to operating the bus makes a collision abrupt and unexpected, often jarring passengers severely causing serious, sometimes permanent, injuries. With no seat belts or airbags, passengers can be thrown from their seats, slammed into other seats, and thrown into each other. When bus accidents occur, passengers are often more seriously injured than those in a car accident due to the sheer weight and size of the bus, and with its high center mass relative to its wheel base, a bus has a higher likelihood to flip over if hit on the side. However, that same size and weight can cause life-threatening injuries to drivers and passengers in vehicles hit by a bus. Buses are considered common carriers and the laws hold common carriers to a very high duty of care to its passengers, to drive safely and protect their health and well-being. Despite this, lawsuits involving buses can be complex especially depending on the type of bus involved — private, city, charter or school bus. 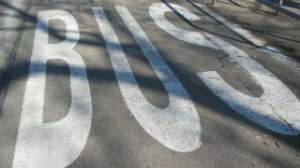 Since buses are regulated for safety, an investigation into the accident could include the Missouri or Kansas Department of Transportation or even the National Transportation Safety Board (NTSB). Things can become confusing, fast. Our goal is to help you obtain the maximum compensation possible so that you can get your life back on track. Whether you were injured as a passenger on a bus or hit by a bus while driving another vehicle, we take the work off your shoulders, enabling you to concentrate on healing. In the Kansas City area, contact the automobile accident attorneys at Nash & Franciskato for a free, no-obligation review of your case.